It was one of the darkest periods in Latin American history. From 1976-1983, a brutal military junta ruled Argentina in what was called “the Dirty War,” when some 10,000 persons were “disappeared” and human rights abuses were rampant. Many of the disappeared were believed to have been abducted by agents of the Argentine government during these years; the disappeared were often tortured and killed before their bodies were disposed of in rural areas or unmarked graves. 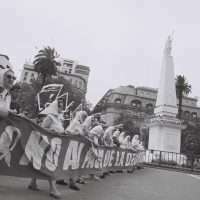 In response the movement called “Mothers of the Plaza de Mayo” arose, wearing signs with photos and names of their children who had vanished, standing in silent protest. The junta remained in power until Argentina’s cratering economy and woefully unsuccessful attempt to seize the Falklands/Malvinas Islands from the United Kingdom further undermined any remaining shred of credibility. 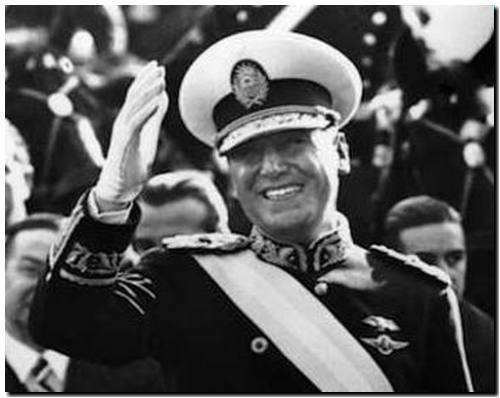 The military leaders, with some convincing from the U.S. and others, stepped down; the general election on October 30, 1983 — and the surprising defeat of the Peronist party — marked the return of constitutional rule. Over 85% of eligible voters participated. With the return to democracy, Argentina and the United States developed a very close bilateral relationship, which was highlighted by President Clinton’s visit to Argentina in October 1997. In July 1998, the United States Government recognized Argentina as a major non-NATO ally. In March 2016 President Barack Obama honored the victims of the Dirty War and ordered the declassification of thousands of military and intelligence documents related to the period. Martin Andersen, an ADST associate, wrote an op-ed for CNN in response. John Bushnell served as Deputy Assistant Secretary for the State Department’s Bureau of Inter-American Affairs, ARA, now called WHA (1977-1982) and Deputy Chief of Mission in Buenos Aires (1982-1987). He was interviewed by John Harter in 1997 and explains the situation leading up to the dirty war and the brutal tactics of the violent Montonero radicals. He later discusses the transition to democracy and describes his conversations with several generals and his attempts to support the newly elected government, whatever it may be. Robert S. Steven served as Political Officer in Embassy Buenos Aires (1976-1977) and contends that Argentina was “just another banana republic,” despite its ties to Europe; he was interviewed by Charles Stuart Kennedy in 2001. Gary S. Urey served as Consular Officer in Embassy Buenos Aires (1976-1978) and discusses how Argentina was only a “transit country” to the Argentines who lived there; he was interviewed by Kennedy beginning March 2002. Anthony Freeman was assigned to Buenos Aires as Assistant Labor Attaché (1976-1980). He was interviewed by Don R. Kienzle in 1995. Robert B. Morley was ARA Policy Planning Coordinator from 1979-1982 and discusses the ill-conceived Falklands/Malvinas invasion; he was interviewed by Kennedy beginning July 1997. Nicolas Robertson was assigned to USIS in Buenos Aires as an Assistant Public Affairs Officer (1984-1988) and was interviewed by Kennedy in 2009. You can also read about Juan and Eva Peron as well as John Bushnell’s account of the U.S. invasion of Panama. You can also learn more about Chile’s transition to democracy. BUSHNELL: In the early and mid-1970s the Argentine situation deteriorated in almost every way. In 1973 General Juan Peron (at left), who had ruled Argentina from 1943 to 1955, returned from a long exile in Spain and was elected president. His third wife, who had been a bar dancer in Panama, ran as his vice president. Peron died in July 1974, and his wife became president although she had no political or leadership experience. The economy continued to deteriorate, and the political and economic problems opened the door to the Montonero guerrillas led by Mario Firmenich. The motives and objectives of the Montoneros were complex; they professed to be Trotskyists or guerrillas of the people. But many of their supporters were from the Moscow-leaning communist party, and some of their members seemed mainly interested in the money. They sent much of their money to Havana for safekeeping — although Havana of course was not known as a banking center. Eventually most of the surviving leadership fled to Cuba and from there eventually went to Nicaragua to help the Sandinistas. The Montoneros were allied with a more rural and even more radical, but smaller, group called the ERP, the Revolutionary People’s Army. 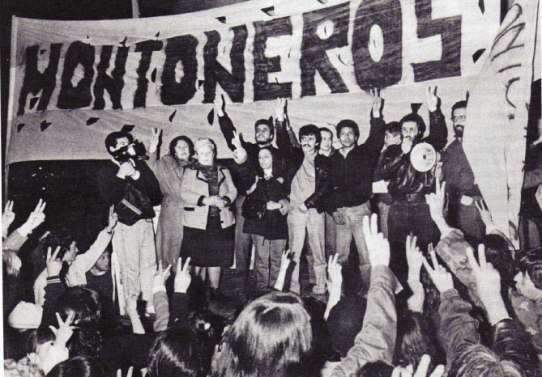 The Montoneros had led violent demonstrations in favor of Peron’s return. But, when he came back, there was no pause in their violence and kidnapping.…Several American executives were kidnapped for ransom. They kidnapped the head of the giant Argentine grain and food products company, Bunge & Born, and collected some $10 or $12 million dollars. 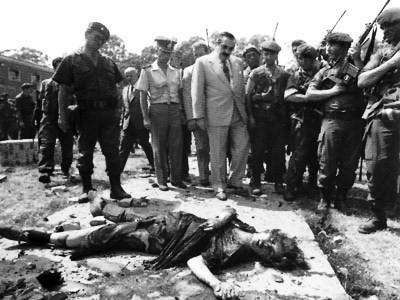 Executives had body guards; in shoot-outs executives, guards, Montoneros, and bystanders were killed. Although they organized some rural guerrilla activities and training camps, the Montoneros acted primarily in the cities. By 1975 they were engaged in gun battles with the police most nights in Buenos Aires with many innocent bystanders killed as well as many military/police and Montoneros. Buenos Aires became the Wild West at its worst. They shot a rocket into the dining room of the American Ambassador’s residence on a night he was giving a dinner for some 70 or 80 people. Fortunately, some of the guests were late and the party had not yet gone into the dining room when the rocket hit; no one was killed, but apparently the intent was to kill many. The 1976 military coup was supported by 95 percent of the people. The military then intensified the dirty war with primary focus on the Montonero infrastructure. HA [Humanitarian Affairs, the State Department’s Bureau on Human Rights, now called DRL] would always quote the figures for disappeared and tortured supposedly by the military. However, certainly the Montoneros fought at least as dirty and with less regard for bystanders. Let me illustrate with a couple of incidents I know from personal connections. One Army general living in a Buenos Aires apartment had a daughter, maybe 14, who invited a school friend of the same age for a sleep-over, since people couldn’t go out at night because of the violence. This girl came over, put her suitcase under the bed, and in the middle of the night the suitcase blew up and killed the girls, the general, his wife, and the rest of his family — a guerrilla success. This sort of thing got the attention of the military. And this wasn’t an isolated instance. While I was in ARA [State Department’s Bureau of Inter-American Affairs, now called WHA] in 1978, the Montoneros attacked Walter Kline, who was the Secretary of Finance who had worked with me in Treasury launching our economic relationship with Argentina after the coup. The military took over the country, but they put in a civilian team to run the economy. The military operatives would pick up people they thought were in the guerrilla infrastructure, most of whom were in the infrastructure but some of whom weren’t, and these people would never be seen again. They would be tortured to find what other people were in the infrastructure. Some were dropped out of planes into the ocean; most were killed and buried. STEVEN: It was basically…a breakdown in the political situation. Argentina had had the same sort of turnovers of government and economic disasters that were typical for so long of places like Italy. Nothing ever changes in Argentina, and the Peron experience, of course, had exposed them to dictatorial government there. I think at the time the Argentine military decided to move, they felt that the country was again in this disastrous situation and something had to be done. I have a private view, which I’ve never seen expressed by any scholar or anybody better qualified, that perhaps the Argentine military were inspired by what they’d seen happen in Chile, that they saw their colleagues across the hills take over and were making a success of the economy, at least in classic terms of product and foreign exchange reserves, and that perhaps they could do the same for Argentina. Well, they weren’t the same people and it didn’t work in Argentina. To me, the culture is a large part of it. You’re talking about Mediterranean culture, which has a different outlook on life and efficiency in government than, say, the Teutonic or Anglo-Saxon culture, just a very different thing. We had considerable security precautions as Americans moving around in Argentina than we had ever had in Chile. The Argentine military were much more brutal, openly so. One of the worst examples we saw of that was – I forget the exact circumstances – they found a number of bodies of people who had been apparently killed by the Argentina military police piled in a field with a large charge under them and literally blown up. There were body parts all over the field. It was the disaster that brought them down and ended them all in jail with trials and so on…. I think my own impression of it was that we were less involved [in Argentina]. We had been deeply involved in what was happening in Chile because of the Allende government and so on. In Argentina it was more sort of a normal distance. We were interested, but I don’t think we were as much involved. My impression has always been, both from what I’ve read since and what I knew then, that we were not really involved in the coup. I have no idea whether we even knew it was coming. But it was just sort of a little bit more laid back, watching what they were doing and scratching our heads trying to figure it out at times. Yes, protesting the human rights abuses when we could. Americans were not as directly affected. I don’t think that any Americans were killed over there. Very few Americans gave a damn what went on in Argentina. The government didn’t focus on it, the press didn’t focus much on it…. Chile was ideological, like Spain, but Argentina was just another banana republic. Who’s in, who’s out, so what? They’d had the military in before. The governments changed. It just didn’t excite people as much as what happened over in Chile. Chile in a sense to me – I probably would get thrown out if I talked about this among certain circles — Chile was a serious country, and what happened in Chile made a difference to people. It was important, I think, that Chile be restored to democracy. In Argentina, what happened, so what? In a year or two it would change anyway, and they never had been able to govern themselves very well, so what did we really expect? In Chile we had seen the loss of a long democratic tradition of good self-government. In Argentina we didn’t see that at all; we just saw another example of a takeover or misuse of power and the country stumbling from crisis to crisis. It was a different atmosphere.…In Chile I had had three sort of assigned portfolios and I knew them specifically. In Argentina, as I recall, we reacted more ad hoc, whoever happened to have the time to write the latest report or follow something…. Even when the military were in, the political parties were still important. They were never formally dissolved. I remember going to receptions where the politicians all talked who was up and who was down and who was involved with the military and who was not, again quite different from the situation in Chile, where the politicians were literally for the first year or two out of sight. They kept very carefully out of sight. In Argentina, no — life continued on much more normally. The people who had changes in their lives were largely on the left, those the military had identified as dissident or problem makers. The embassy was not as polarized, as I recall. The embassy in Chile was quite polarized, the military and some of the [Central Intelligence] Agency people and some of the others. That didn’t happen in Argentina, partly because the passions were so much less…. My impression has been though that labor was extremely politicized in that country. It is in many Latin American countries, but there particularly labor tends to be an arm of a political party, the labor union will be an arm of a political party rather than a real, what we call, independent labor union. There are some in this country would say the AFL-CIO is an arm of the Democratic Party, but down there it really is. The labor union would be integrated pretty much. …It affected those who were affected, in the sense that if your son was taken or your family was involved in the political activity and they were targeted, yes, you were affected. But I don’t think that it was something that affected the majority of Argentines. The man in the street wasn’t being beaten up by the police, and these were the students or the young people who were in trouble and there weren’t that many of them. Many of them had lost, I think, a great deal of sympathy because of assassinations and kidnappings and things. There was some attitude I remember hearing once from someone I thought was a very liberal-minded Argentine when somebody had just been found assassinated and disappeared, “Well, he had it coming. They were troublemakers.” It wasn’t that it affected such wide numbers of people. They were more worried about their economic, I think, than their political situation. The junta, after getting much bad international press, had decided to give this much talked about derecho de opcion, right of option, which effectively meant that if you were a political prisoner, and you didn’t have outrageous charges against you, if you would give up your Argentine nationality, and agree to exile yourself permanently from the country, the right of option, you could leave, if another country would take you. Oddly enough, you had a lot of Argentines, itself a target of immigration from Europe, doing secondary immigration to the U.S. It was very, very interesting. I always thought that was the big difference between Argentina and the U.S. in many ways. 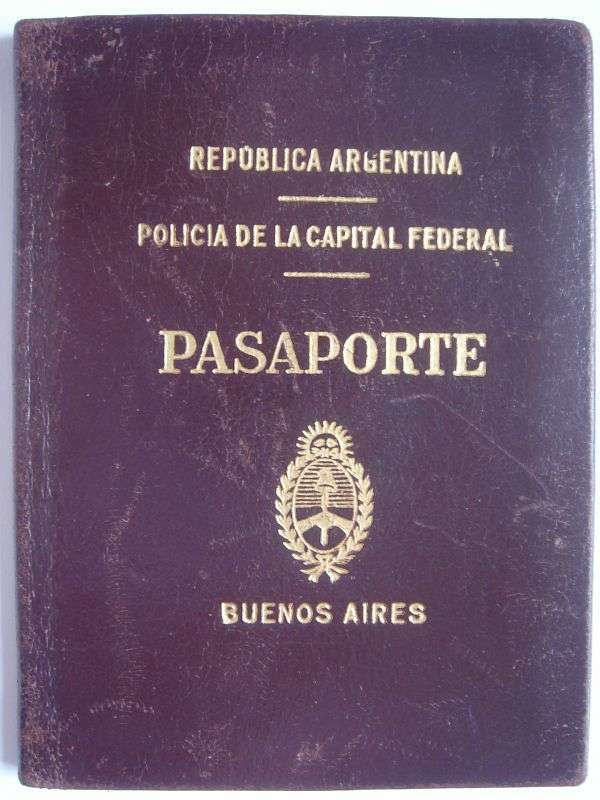 You had many, many people in Argentina with Spanish passports, or Italian passports, or German passports, who had lived there several generations, whereas in the U.S., there was always an urge to become an American. Argentines were always going back to the madre pais [“mother country”]. Argentina was never really home. It was a sort of transit place.…These were people who never had Argentine passports, who had resided for generations and still had these European passports. I always felt it was greatly to the discredit of Argentina. You had to feel that this was a bad blot on their part. This was supposed to have been one of the great American republics, and it was falling apart. But, the living was so good, the weather was good, the buildings and the architecture were magnificent. The food was superb. The people, like you say, you never saw so many clear eyes and white skin. It’s the biggest white city I have ever been in, including Europe. When you go to Paris, you see people of all colors. This is 12 million white people, with only an occasional dark Brazilian on the street. It was an astonishing big pool of human resources, not doing particularly well. FREEMAN: By now, the human rights policy of the Carter Administration was in full swing and there were strong denunciations out of Washington concerning the violations of human rights in Argentina. The first signs of a human rights policy actually had surfaced a bit earlier in the Nixon Administration when I was in Sao Paulo, and I had gained some experience as political officer cultivating middle-class liberal opponents of the military regime in Brazil, expressing U.S. concern about the heavy-handed military repression there. But the Carter Administration’s strong emphasis on human rights policy was not the only U.S. interest in Argentina. We didn’t want to see the leftist guerrillas tortured to death and then “disappeared” in secret operations, let alone innocent civilians labeled as terrorists, arbitrarily detained and then disposed of in the same way, but I believe we recognized it was in the U.S. interest to see the guerrilla threat eliminated. We wanted the guerrillas dealt with by rule of law and some semblance of due process. When I say “we” I mean the U.S. government. It’s conceivable there may have been some people in the Administration in Washington who harbored a more benign view of Argentina’s rebellious youth, but professionals in the State Department (and certainly the Pentagon) saw the guerrillas as a threat to U.S. interests in Latin America. The political model they appeared to vaguely espouse was some kind of collectivist or totalitarian society, whether of the radical left or right or some hybrid thereof, and they used terrorist methods. They were the enemies not only of the current military dictators of Argentina, but also of the liberal democratic tradition in Argentine political history, represented by the civilian governments Argentina had known in the past. They were clearly anti-American. If they ever succeeded in attaining power, there was no doubt they would take Argentina on an anti- American, “anti-imperialist” path, whether directly into the Cuban-Soviet orbit outright or into the “non-aligned” camp. And so it was in our interest to see them defeated, but we preferred this done by civilized rules and not the way the Argentine military and police were doing it. As far as I can remember, however, U.S. concern over the latent threat represented by the insurgency was not articulated publicly. This may have been signaled or intimated in informal (and possibly even unauthorized) conversations between Embassy staff and Argentine government and military officials, but I don’t think publicly. I would need to research this to be sure my reflections on this point are accurate but, officially, I think, the U.S. took a hands-off posture as to this internal rebellion in Argentina and the government’s decision to defeat it militarily, except to express concern over the human rights aspects. The Argentine counterinsurgency was carried out in good, Machiavellian fashion. I had the notion of a great deal of deception going on and imagined there were operations where Army units pretended to be from the Navy, or vice versa, just to hide their unit’s identity and defend themselves from any future acts of retribution (or justice). The intelligence services would hire thugs, who did a lot of the underground killing that went on. “The Dirty War” as they called it. The French had started this kind of thing in Algeria, I think, and I suspect the Argentines had learned from the French how to do it. This was their operating style, and there were trade union elements right in the middle, either on one side or the other. Some of the labor leaders were suspected of harboring sympathy toward the guerrillas and some were with the government, or at least they were against the guerrillas. MORLEY: Let me say that we understood and for some time had followed closely the dispute between Britain and Argentina over the Malvinas/Falklands issue. Negotiations had reached a dead end. But no one really expected that the Argentines would actually invade and occupy the islands. It was a total surprise. When it happened, few believed that the Brits had the will or the capability to take the islands back…. It was viewed as a gambit by the government of Argentina. 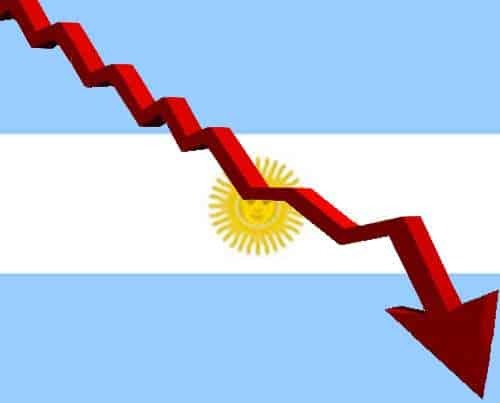 The government of Argentina had lost a lot of its credibility and a lot of its influence, a lot of its support among the Argentine people. We felt at the time that the seizure of the islands by the Argentine military was an attempt to restore the popularity of the Argentine government, to give it a new lease on life. Britain had laid its prestige on the line, while an Argentine withdrawal would mean the demise of the military regime in Buenos Aires…. The British invaded and took the [islands] back. The Argentines seemed ill-prepared to resist the British. Reportedly, after their successful seizure of the islands, the Argentine Government had decided to withdraw their invasion force and replace it with units of lesser quality. Less capable garrison type troops were sent to the islands to maintain control. So, I don’t really think Buenos Aires expected a serious military response on the part of the British. A lot of Latins viewed the government of Argentina as undesirable. On the other hand, a number of the governments of South America at least were military at the time. So the responses, the reactions of the various governments of South America, which were the key to the whole thing, ranged all over the place. I think it can be said that the Chileans and probably the Uruguayans tended to lean toward the British, although not actively supporting the British. The Peruvians, if I remember correctly, actively supported the Argentines, providing military equipment. The Brazilians stayed studiously neutral. So, there was a wide range of responses from the South American governments for whom the crisis was most germane. 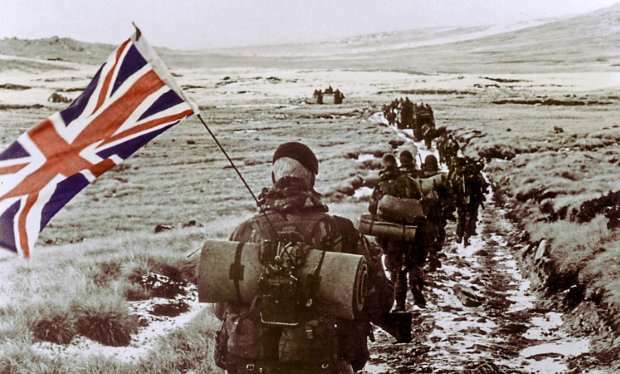 In many cases, it was for reasons perhaps unrelated to the Malvinas/Falklands crisis itself. Argentina and Chile were traditional enemies. So, if Argentina was in trouble, at least diplomatically, the Chileans were going to lean toward whoever was giving Argentina problems. It became evident to the Argentine public that the military not only couldn’t handle economics and politics and didn’t have a decent human rights record, it couldn’t even do what they were supposed to be experts at — that is, conduct an effective military campaign. So, they lost all credibility as a result of their adventurism. As the outcome of the conflict became clearer, our assumption was that it would strengthen our hand in terms of restoring democracy to Argentina. This is what we were saying to the seventh floor [of the State Department, where the Secretary and other senior officials have their offices] and to the White House in position papers, that there was some good coming out of this. It probably hastened the demise of the Argentine government and a return to democracy. That’s what happened. BUSHNELL: Although the military government greatly increased its prestige and mandate with the invasion – thousands were dancing in the streets of Buenos Aires – all that gain and much more was lost with the military’s defeat. The military not only had to change its leaders, but it had to call for elections and begin the process of turning the country back to the civilian politicians. Q: And Galtieri [Leopoldo Fortunato Galtieri, Argentine general and President of Argentina from December 1981 to June 1982, during the last military dictatorship known officially as the National Reorganization Process] was out on his ear pretty soon, succeeded by Bignone? BUSHNELL: Yes, the military was defeated and in trouble domestically. The tradition in Argentina was that the military would take over, rule for two or three years, and then turn the government back to the civilians. This scenario had happened in a repetitive cycle for nearly a hundred years since the emergence of middle-class political parties. Before that the military just ruled most of the time. General Reynaldo Bignone was appointed essentially as a caretaker to prepare for and hold elections. Q: There was an election on October 30th of 1983, and his job was to prepare for the election? The main issue was: Would the military allow a free and open election and would they allow the person elected to take over even if it were the candidate less sympathetic to the military? 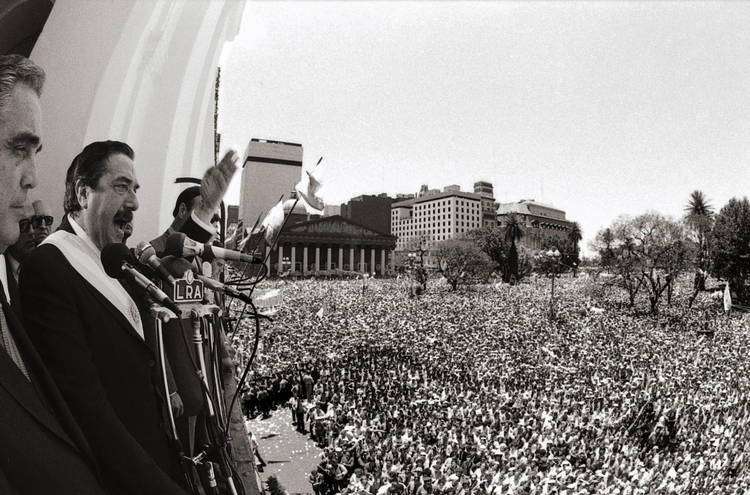 There are two major parties in Argentina: Peronists, the party established by Juan Peron in the 1940’s and supported by most labor organizations; and Radicals, largely a party of the urban middle-class. The Peronists are often authoritarian, and the military were more comfortable with them. [Peronist] Italo Luder was the candidate, a moderate lawyer. The Radical ticket was headed by Raul Alfonsin. The election was free, and there was plenty of debate. Various groups tried to get the U.S. involved or present us as favoring one candidate or the other. My challenge was to support the return to democracy but to be absolutely neutral between the candidates. We had to be careful about even visiting candidates to avoid speculation on a possible U.S. role. The opinion polls leading up to the election indicated that it would be close, but most polls showed Luder winning. There were no significant problems on election day. I drove around the city and saw several polling places. At some there were long lines in late morning and early afternoon…. One of the challenges for the Foreign Service is to use all the tools of quiet diplomacy effectively to attain our objectives when there is not a crisis and there is not much if any guidance from Washington. The U.S. objective in Argentina for years had been a return to democracy. We didn’t really care who won, but we wanted the election to happen, and we wanted the elected person to take over. The threat was that the military would either stop the election or, more likely in my view, not allow Alfonsin to take over if he won. I used my contacts with the Radicals to suggest that they make contact with military leaders to give them confidence that a Radical government would not try to eliminate the military as an institution. Many Argentines did not consider us a friendly country at that time, but we at least had a lot contacts through whom we could get our message across and plant seeds that might strengthen the democratic process. I went out of my way in my first year in Buenos Aires to meet most of the senior military officers, including some who had retired. I mentioned [photo at right (Corbis), President of Argentina from March to December, General Roberto] Viola, whom I’d seen with Haig in Washington, who was then retired. He would come to my house for lunch, just the two of us, and he would tell me what the senior military were thinking. He could also plant ideas with the active-duty military, because, after all, they all worked for him at one time. By the end of 1982 the attachés could attract middle-to- senior level officers to their parties. I often went to these parties to meet these officers and advance my own understanding of what they were thinking. 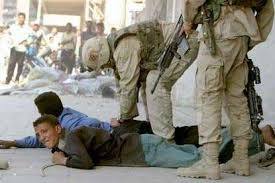 I developed a number of examples of how civilian control of the military in the U.S. benefitted the military, and I repeated these, it seemed endlessly. I also cultivated several civilians who, although they held no official position, were close to the most senior military. About a week before the election, a businessman Peronist, who had been to my house several times, called me and said the First Corps commander really needed to meet with me. Argentina is divided into four corps, which are regional army headquarters, and virtually all fighting forces are directly under the control of one of the corps commanders. The First Corps is the most powerful for two reasons. First, the corps is headquartered in the Buenos Aires suburbs and is responsible for the capital of the country, the site of government and the richest area. Second, the armored division which had most of the tanks was part of the First Corp; traditionally any coup would be led by the armored division and the elite troops stationed in and around Buenos Aires. I had not met the First Corps commander, who had a reputation of being hardline and not moving outside his immediate military circle. I agreed to meet him at his headquarters at his convenience. I knew he had something serious to discuss when the intermediary came back with an invitation for me to have dinner alone with the general in his personal quarters. This dinner a week before the election was the only time in my five years in Argentina that I dined alone with an active-duty general in his personal quarters. It was a difficult moment, a real test of quiet diplomacy. 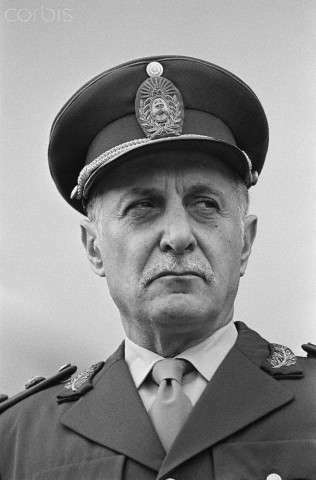 It was clear, once we quickly got over the formalities, that the general was mulling in his mind whether or not the military could live with an Alfonsin government. I could tell that he was under a lot of pressure from other military officers who thought a Radical government would be a disaster. He wanted me, first of all, to assure him that Luder was going to win. Of course, there was no way I could. I said Luder was my guess, but elections are tricky things and you can’t tell. He went through all the problems a Radical government might create for most of dinner. I mildly countered some of these, but it was clear the concern was more emotional than analytical. Finally, I said to him I really didn’t understand, although I’d been listening carefully and was sympathetic, why he was so concerned. He explained that the military had had to throw out every Radical government in the history of Argentina, and he said he did not think the Radicals had changed; they hate the military. I said I was quite sure the Radicals had changed in one respect. The Radicals were at least as aware as the military how all previous Radical governments had ended, and they would work hard to complete their five years. 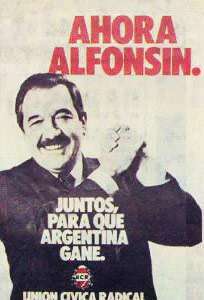 Quickly after he was elected in October 1983, Alfonsin named his cabinet or at least much of his cabinet, and he named his main political operative, who really won the close election for him by organizing supporting groups in the provinces, as Defense Minister.…Borras was his name. As soon as he was named, I invited him to a private lunch at the DCM residence (I seldom used the Ambassador’s residence to entertain when I was chargé except for the largest functions). He started right off by saying he knew nothing about what a Defense Minister does. He was a politician, and a good one I might add, a builder of compromise and coalition. Alfonsin had said to him, “Our biggest problem is the military, so I’m going to put my best man in the Defense Ministry.” We talked extensively about how to organize the Ministry, how civilians might relate to the military command structure, and how gradually to take control, recognizing that the military has the guns. He came to lunch several times because he said our discussions gave him ideas. I noticed that he smoked one cigarette after another although he did not otherwise appear to be a nervous man. The new government had major economic problems; the military issues were very difficult, especially the question of punishing the military for past human rights abuses. 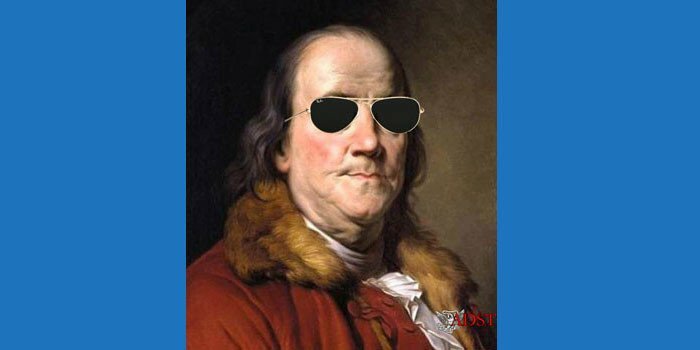 Moreover, the Radicals had been out of power for a long time; lots of Radicals wanted jobs, and not all of them were honest. The U.S. had major interests riding on the way they solved these problems. 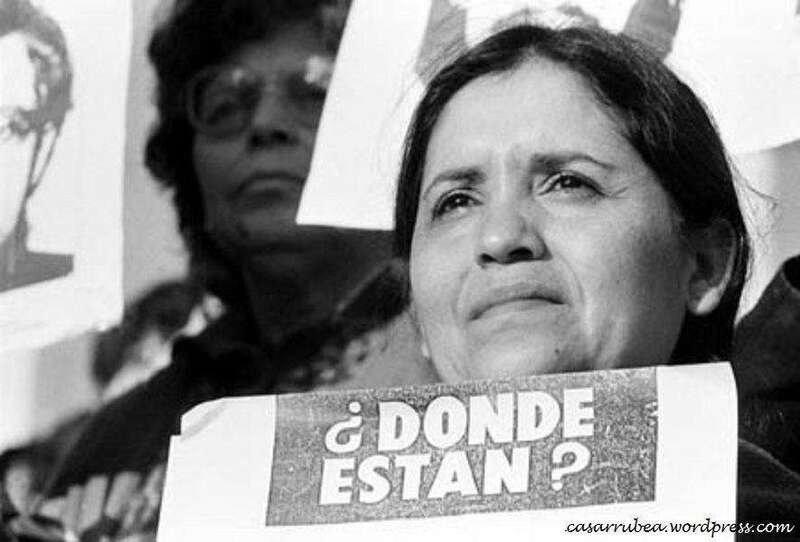 The government dealt with the disappeared and the stolen children, but it was only one of many issues. I remember that the Madres de la Plaza de Mayo were in President Alfonsin’s office harassing him about something and they said he should devote all his time to resolving the cases of the disappeared. He replied that there was a country to run, and there were other issues to deal with as well. And it was painful — even at that time, there were people who didn’t believe that their children had died. They charged that they were being kept in a camp by Alfonsin for some reason, a camp hidden in Patagonia. It ceased to be a rational legal issue for a certain number of people. And, of course, one of the sad things about the Kirchner government is their attempts to re-vindicate the Montoneros. Argentina really had institutional and political problems. I mean, they had to sort out how you actually run a democratic system, what can you do, what you can’t do. And there are two elements of our focus down there and one was economics, the second was developing democratic institutions.